The 2015 Tapestry diary is making progress. We have had the most amazingly wet Spring so far. For several days in a row there has been rain, stormy rain and tornado infested rain. I was just about to run out of ways to deal with grey and rainy days when, on Monday May 11 the rain stopped. A cold front arrived with cool, crisp and sunny skies. It couldn't have been more perfect if we had ordered from a menu! 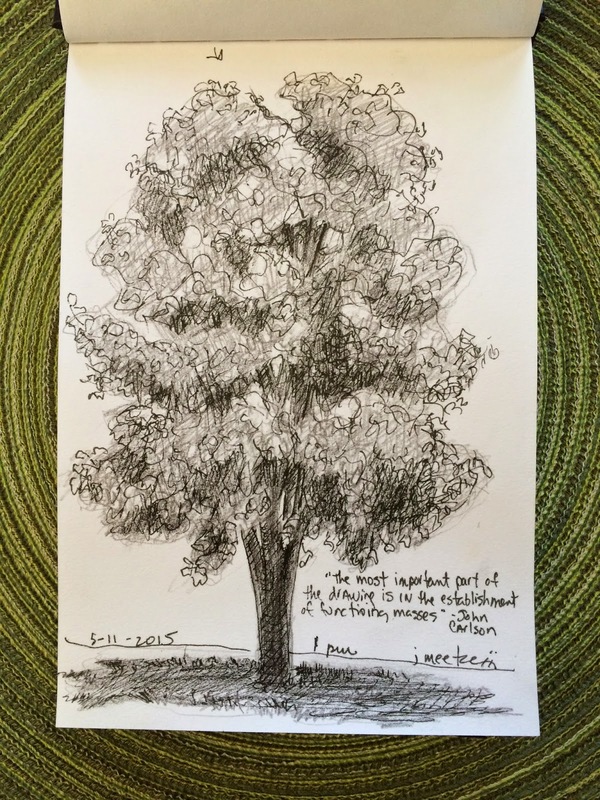 Tuesday May 12 was just as beautiful and I celebrated with a green tree. 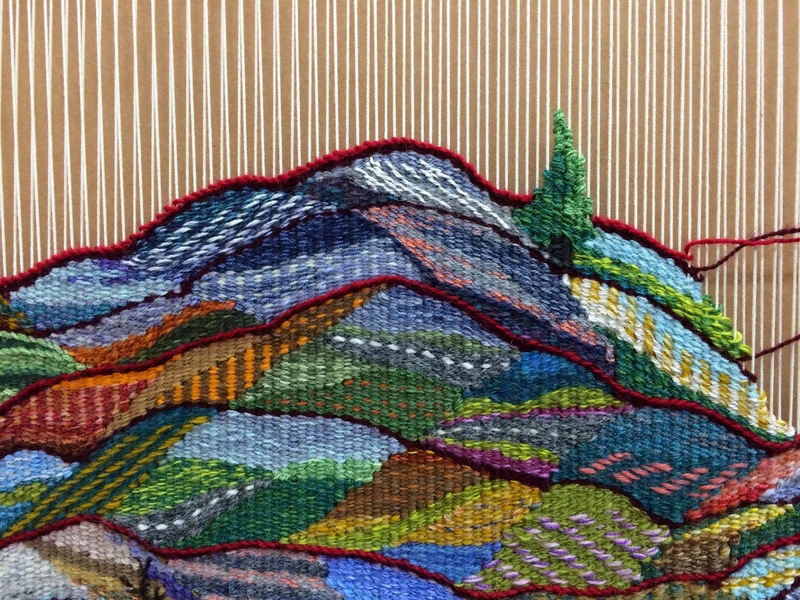 It is nice to have some vertical elements in this landscape inspired horizontally oriented tapestry. With the sunshine and cool breezes it was also possible to appreciate how clean and green everything around us has become. So many greens are always a challenge but it is a nice one to have. Lately I am in a state of waiting for things to develop. Waiting is not my strongest asset. 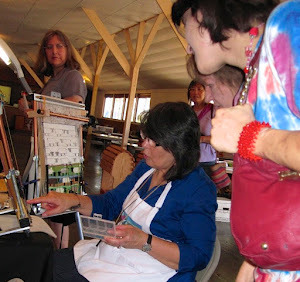 Waiting for my new loom, waiting for a week long Plein Air painting workshop at the end of May. Thankfully I am no longer waiting to hear about my entries for Fiberworks 2015, both of my pieces (Red Dirt Days, Journey Through 2014 and Hands On, A Slow Selfie) have been accepted and I will be delivering them on June 1st. With all these clean, green and fully leafed trees surrounding me I have been sketching as well as weaving their images. Perhaps my Plein Air experience will yield not only a few paintings and sketches, but the seed for a future tapestry landscape. At the very least it will be a nice change of pace getaway.